New research from Michigan State University in the United States suggests that crop yields and the global food supply chain can be preserved, despite the prospects of climate change, by harnessing soil. The researchers found that carbon dioxide compensated for yield losses caused by climate change, as it acted as a natural fertiliser to help crops grow. 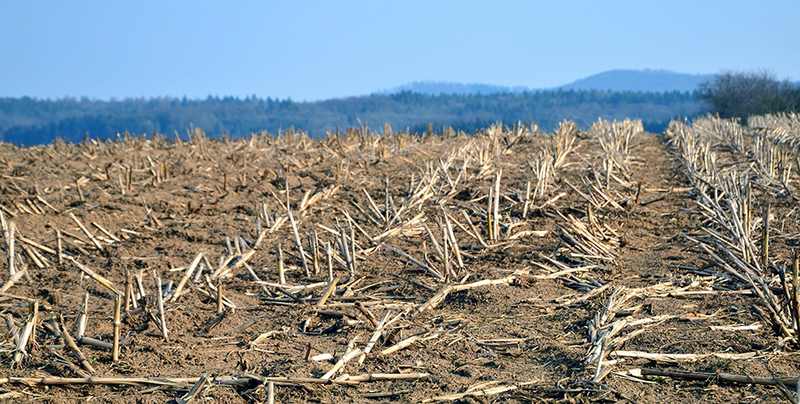 However, when soil organic carbon losses were included in the analysis, the increased carbon dioxide in the atmosphere was not sufficient to prevent yield losses. He also explained that farmers can practice better agronomic management to protect soil against the effects of climate change. This should include the use of cover crops, conservation tillage, adding organic carbon to soil or by increasing yields through advanced genetics and agronomy. Photo Caption: Research says that looking after soils can mitigate the negative effects of climate change on crop growth.